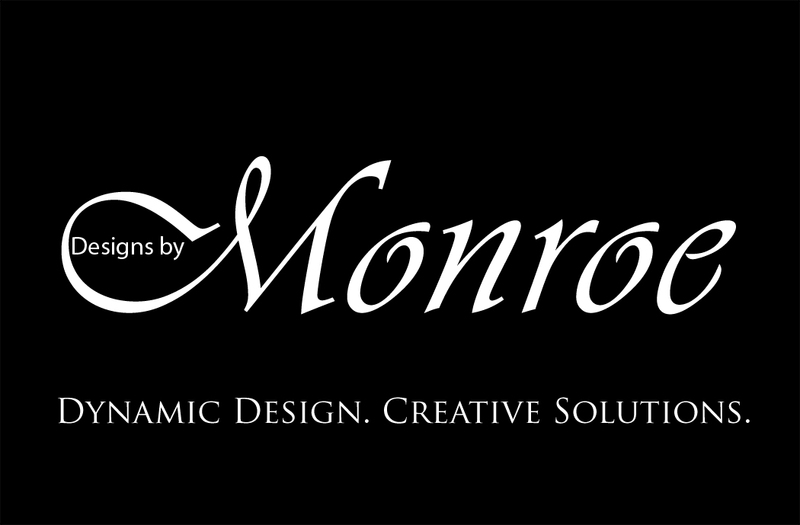 I'm a RTP, NC based graphic, logo, online identity, & web designer. My personal style is quite modern, but please view below to see some of the work I've done for others. I love to design with people who have huge ideas because it allows me to interpret your vision and make it a reality. I would love to work with you on a single page, or entire site. In the meantime here is a bit more about me. 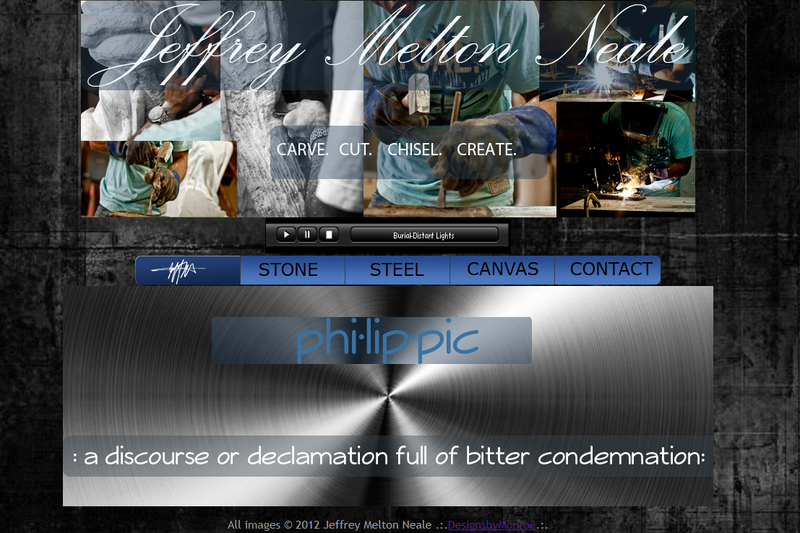 I am a native North Carolinian, and have been designing for over 15 years. 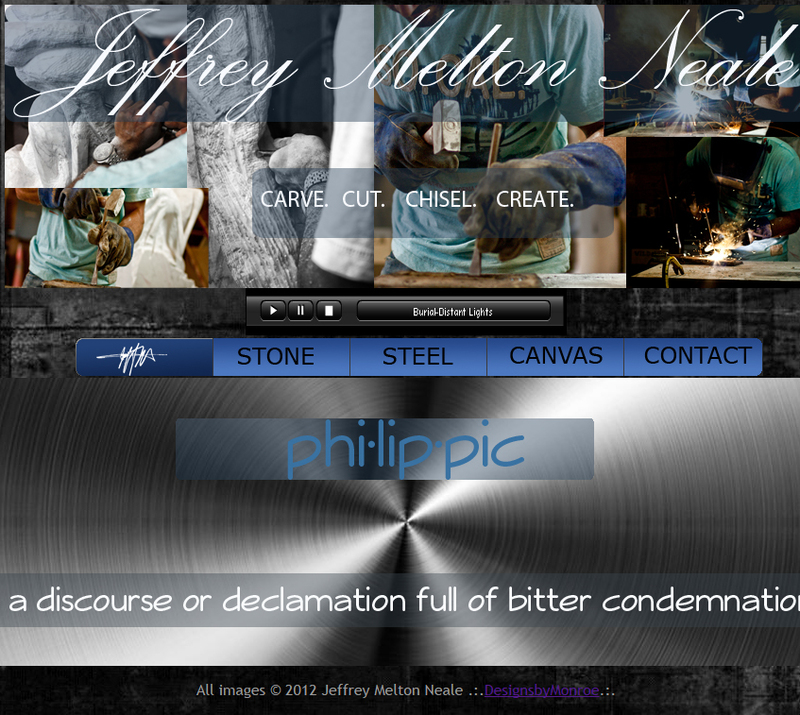 I love desing in all aspects whether just updating a small blog, or an entire corporate hi-nav re-design. Design for me is truly loosing yourself in someone else's mind and delivering an idea into reality. I have my Bachelor's of Science in Business Administration with a focus in Computer Information Systems. I am passionate about the improvement of business functions with smarter more detailed processes. I am excited to gain even more insight into the field as I pursue my MBA. This was our most recent project. Tovah wanted something that would not be easily forgotten. She wanted her cards to leave a lasting impression, and we delivered!! We again used the awesome team at Moo to get our cards printed quickly with amazing quality. Tovah Mitchell is an attorney in the RTP, NC area. 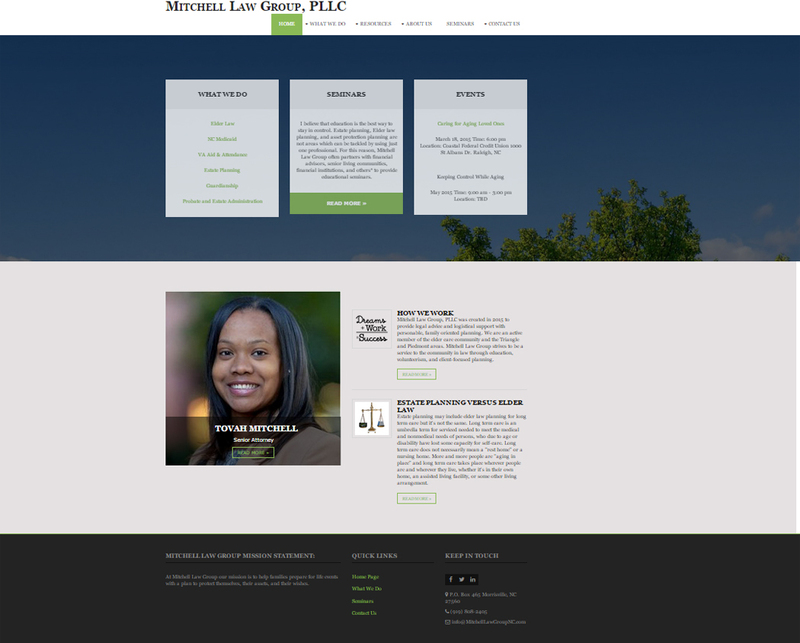 We had the pleasure of creating the site for the launch of her firm Mitchell Law Group. Bolstered by her client's desires to continue to grow relationships, becoming a better time manager in her household, and her ever burning desire to help families plan their lives Mitchell Law Group was created. 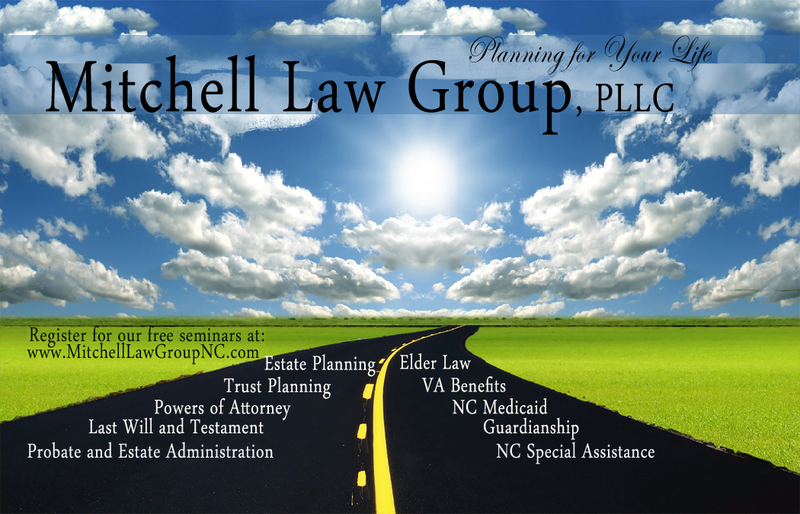 If you need help with planning for your or a loved ones' life, Tovah can help with Elder Law, NC Medicaid, VA Aid & Attendance, NC Special Assistance, Estate Planning, Powers of Attorney, Trust Planning, Last Will And Testament, Guardianship, and Probate and Estate Administration. The artist Michelangelo famously once said, I saw the angel in the marble and carved until I set him free. 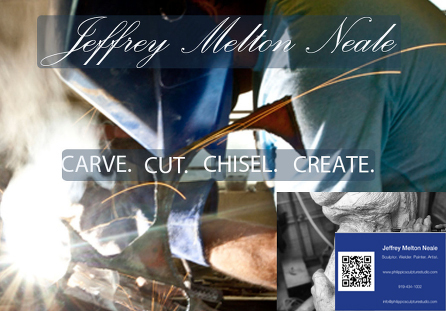 Working with Jeffrey Neale helped me to truly understand what he meant. 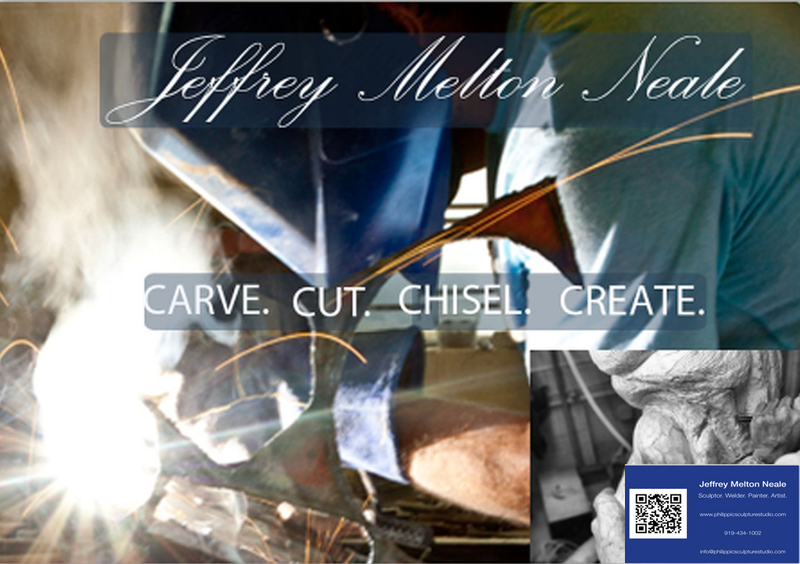 Jeffrey is an amazing artist here in North Carolina, and we were so honored to be able to work with him. He wanted his card to be "All about the work." So that is what we delivered. The team at Moo were extremly helpful. The ability to use the QR code feature on his cards was awesome!! No matter what your artistic preference Jeffrey Neales' art draws you in. His ability to craft stone, and steel into beautiful and truly unique pieces will make you and instant fan. Even his canvas' are unlike anything you have ever seen. Please take some time and browe his portfolio. You won't regret it.